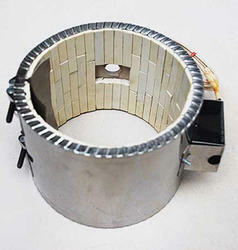 We are engaged in the export and manufacture of Ceramic Band Heater which are design as per customer requirement. 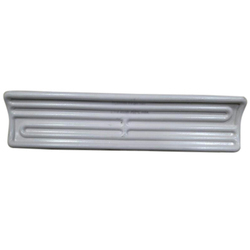 We are offering a wide range of Ceramic Heater. These heaters are designed with the use of best machines and tools. They are ceramic finished and used in many industrial purposes. 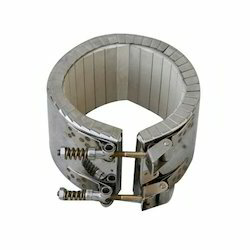 They are used in purpose like used for heating and cooling applications. They are best in finish and cost very less. 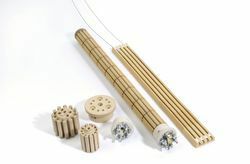 We hold expertise in manufacturing and supplying a distinctive range of Ceramic Band Heater, which is used to apply heat by transmission to die's, cylinder surface and barrels. 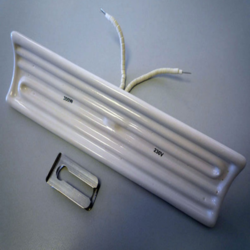 We offer these heaters as per the specification of our clients. These are made up of helical coils and high resistance nichrome wire to ensure its flawless performance, durability and reliability.